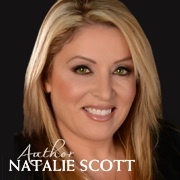 Natalie Scott is another new generation author, who recently published a debut book. Rules for Riders was released in July and already has a lot of positive feedback. It’s a fast paced YA novel with teen characters and very interesting story. – What is your last book Rules for Riders: Best Friends Deadly Rivals about? – After a near fatal riding accident, Bebe Barkley is banned from riding and sent off to boarding school. Finn Foxley, her roommate and partner in crime, devise a plan to get themselves kicked out of school, in order to return to the world they love. Once back on the Equestrian circuit, best friends will become deadly rivals! Enter Billy O’Reilly, Bebe’s handsome trainer, who will enforce 7 Rules that will turn Bebe’s world up upside down forever.